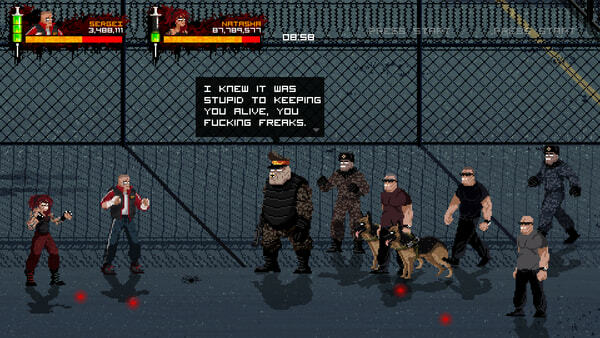 – Merciless Struggle: Pull yourself up from the cold, hard ground to punch, claw, and stab your way through the hardened ghettos, violent prisons, grim laboratories, and decadent clubs. 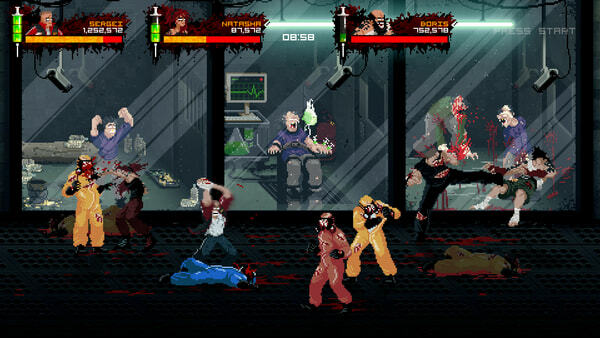 – Powerful Narcotics: Embrace your crippling addiction with a quick injection to crush skulls, snap necks, and tear flesh from bone in a drug-fueled maniacal rage. Find your next fix flowing through the veins of your fallen foes and jam your needle into their convulsing bodies to fill your beloved syringe. 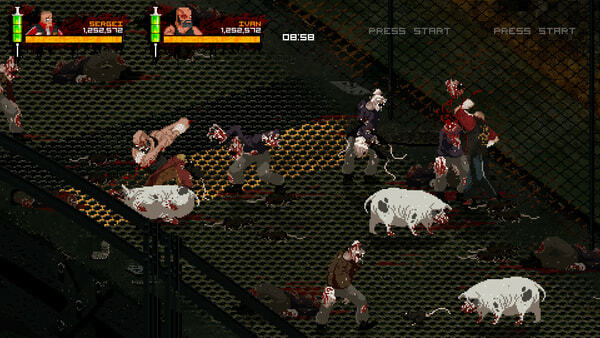 – Local Co-Op: Crack your knuckles and select a combatant to go it alone or rumble alongside friends in an ultraviolent co-op ruckus with up to four players. 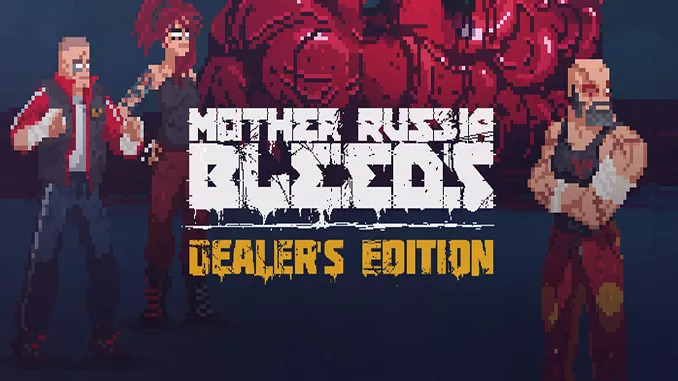 Mother Russia Bleeds is an ultra-violent co-op brawler overflowing with an unmistakable style and unforgettably brutal action for up to four players at once. Set in an alternate U.S.S.R, the story centers on a desperate crew of imprisoned street fighters that must overcome an oppressive criminal authority and forced drug addictions through any means necessary. You are doing the lords work, keep it up! Could you put Ruiner on here?